A trade union action would be taken from today (28th) as authorities have failed to find solutions for the issues confronted by Samurdhi Development Officers and Samurdhi recipients states Samurdhi Development Officers Union. Its General Secretary Chamar Maddumakaluge says despite a department was created in 2014 to make Samurdhi Officers pensionable, nearly 200 officers who have retired have not received any pension. He said out of the officers who have retired 128 have died. He also said the officers, who have resigned when the department was established, have still not received the compensation that had been promised while all processes for officers’ promotions too have been abandoned. 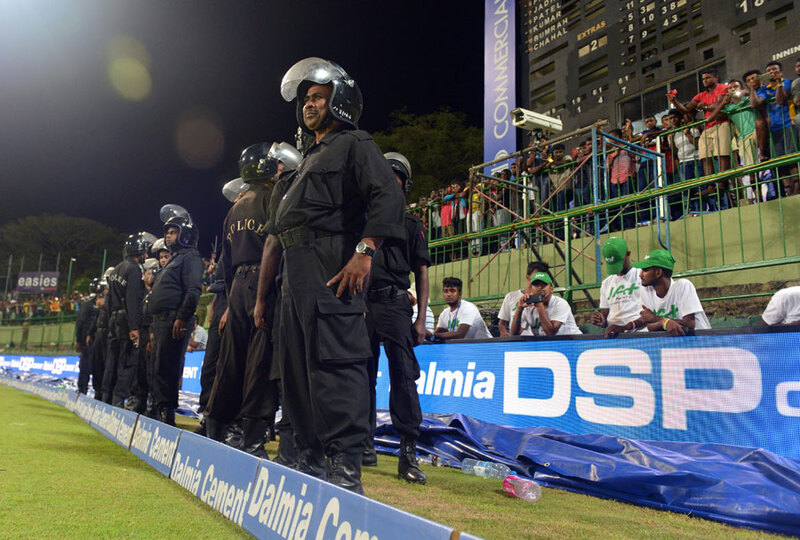 The 3rd ODI played between Sri Lanka and India had to be suspended for a few minutes due to unruly behaviour of a part of the spectators. The incident occurred when only a few more overs were to be bowled. The match continued after the riot squad and police officers cleared a part of the stadium of spectators. India won the match by 6 wickets. When the match was suspended after the 44th over India chasing a target of 218 were 210 for 4 wickets. Despite players and the umpires waited on the ground for nearly 20 minutes the situation could not be controlled and the play had to be suspended and the players and the umpires withdrew to the pavilion. India hit the 8 runs needed for the win in 7 balls after the match resumed and with the win, they bagged the 5 match series. Withdraw tax proposals that aim to plunder EPF, ETF – ICEU warns Govt. The government should withdraw the decision to levy a 28% tax from the Employment Provident Fund (EPF) and if fails to do so a massive trade union action involving state, semi-state and private sectors would be launched warns Inter Company Employees’ Union (ICEU). 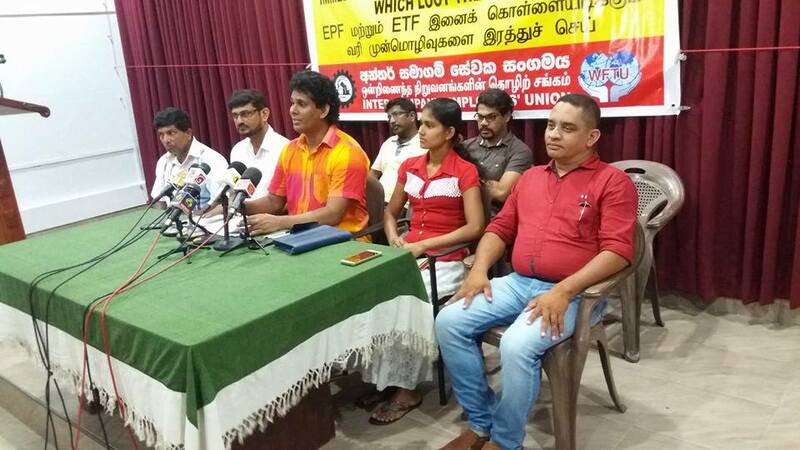 Speaking at a press conference held yesterday (27th) the President of ICEU Wasantha Samarasinghe said the government has planned to levy a tax of 14% on the income of the EPF and another 14% when members claim returns from the fund. He said if the proposal is not withdrawn before the 20th of next month the unions would launch protest campaigns. He said if the bill is passed without considering the opposition of the working masses, all employees of the state, semi-state and private sectors would be organized to surround the Ministry of Finance and added the President, the Prime Minister and the Minister of Finance have been already informed about their action.